In this case, it was the other way round. Every session of the four days was exciting because it could have been anyone’s game. However, before the end of the third day, everyone was sure to place their bets on Pakistan; the game seemed to be in their safe hands. Alas, the Pakistani team saw their batting collapse and turned their almost-victory into an unfortunate defeat. This was the fifth time in history that Pakistan was unable to chase the target set under 200. The last time it was against Sri Lanka; Pakistan had to chase down 136 at the same venue but Rangana Herath thrashed the Pakistani batting lineup. It seems like Pakistani batsmen enter a mental block while chasing a target in the fourth inning. 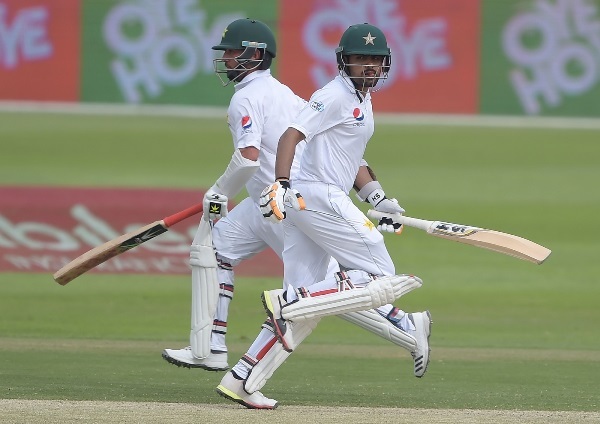 The silly run out of Babar Azam and Asad Shafiq’s inability to convert 40s into big 50s is testament to that. Hence, it is imperative for our batsmen to learn how to maintain their calm in high-pressure situations so that they can avoid impulsive moves and exhibit stability on the field. 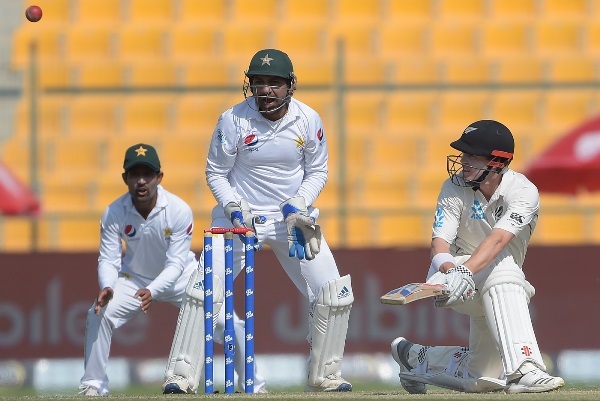 During New Zealand’s second inning, their tailenders, especially Ish Sodhi, along with debutant Ajaz Patel contributed 22 runs for the ninth wicket. This is where Pakistani tailenders should be questioned. Bilal Asif (who holds the record of the fastest T20 century in his debut for Sialkot and has two first class hundreds under his belt), Yasir Shah and Hasan Ali proved themselves to be nothing more than walls of sand. They bagged ducks at a time when they should have been contributing more to the team’s total. Therefore, it is crucial now for Pakistan to concentrate on their tailenders because they have the responsibility of taking it to the finish line and considering how Pakistan always drags the game to the last minute, they need winners in the final innings. After the match-winning performance against Australia, everyone including the cricket pundits thought the skipper was back in form and the rough times were over. 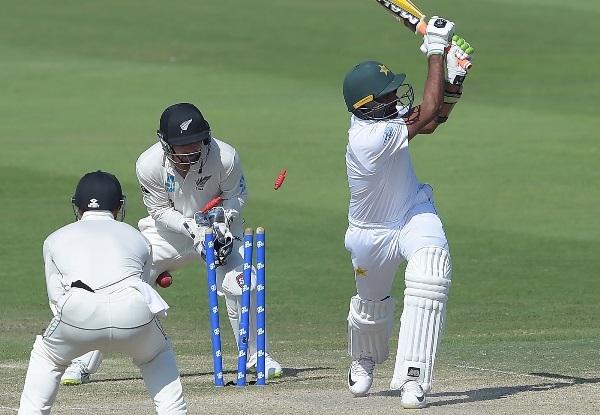 However, Sarfraz falling short in both innings against New Zealand has put the pressure back on himself. On both occasions, he was called out while playing a sweep shot early on in his inning. There is no doubt that he is superb at handling sweep shots but evidently they aren’t working for him. Younis Khan was a master at playing sweep shots but he too knew better than to try it before he is set on the pitch. It is important for Sarfraz to spend some time on the crease, acclimatise with the situation and then pace his inning accordingly. New Zealand has clearly shown how competitive they are in contrast to Australia. So in order to keep them under check, green shirts have to strategise and play the game carefully. Mohammad Hafeez, has been struggling in the longer format of the game. Apart from the 100 on his comeback, he has been unable to find his feet in Test cricket. Ten, 20, four and 17 are his last four Test scores. With these abysmal numbers, his place in the Test team is certainly questionable. 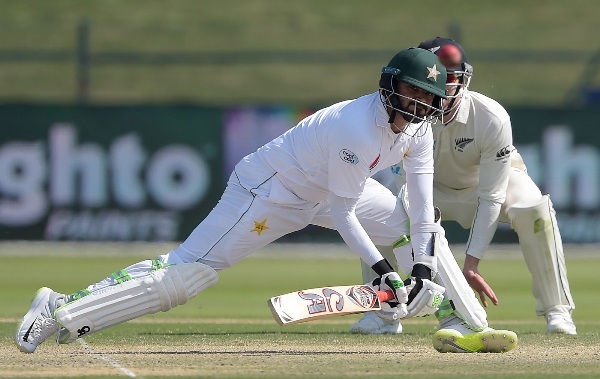 Since Azhar Ali opened the innings previously and has come back in form in the last inning, Hafeez should be dropped from the team and Saad Ali should be inducted in place of him. 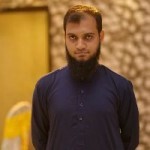 Saad is a left-handed middle order batsman and is capable of strengthening the Pakistani batting line. Not to forget, he was the top scorer in the Quaid-e-Azam Trophy last season, and was picked for the national side to participate in the England tour earlier this year. Apart from this change, I believe nothing needs further revisit as our bowlers are doing a tremendous job. Coach Mickey Arthur tagged the last Test as the ‘worst defeat’ of his career. It is indeed very hard to be a Pakistani cricket fan. It requires nerves of steel and a big heart to support the green shirts as the word ‘certainty’ does not exist in the dictionary of Pakistani cricket. There isn’t much one could say about the second upcoming Test except hope for the best. If our team exhibits game awareness and plays smartly, this series can still see a 2-1 score in Pakistan’s favour. The Pak cricket team is a joke. An expensive joke. They are inconsistent. Erratic. With all the training, and coaching they still don’t deliver consistent results. is already provided free by PCB. They get paid if they win. Otherwise nothing. Zero.